Petrol costs are soaring. Fortunately, diesel prices are lagging behind. Given this factor, choosing a diesel powered motor becomes an attractive option. If you are on the lookout for a diesel powered vehicle that still has European excellence of design and mechanics, the BMW 320d is an attractive option. 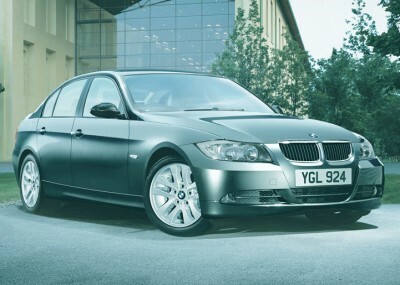 To look at, the BMW 320d combines up-to-date aerodynamic features with curvaceous lines. The distinctive BMW grille fits neatly in the tailored lines of the 320d. From the side, the sedan has a silhouette that suggests speed and smooth handling. Which makes sense, given the drag coefficient of 0.29 Cd. And the BMW 320d has the speed and handling promised by its looks. The 2 litre engine is capable of accelerating from 0 to 100 km/h in 8.9 seconds, and achieves this thanks to a maximum power of 125 kW at 4000 rpm and a hefty maximum torque of 340 Nm at 1750 rpm. The BMW 320d has a brisk top speed of 225 km/h, and is capable of pulling 745 kg (unbraked) if you need it to. The fuel economy of the BMW 320d, already good in dollar terms with the diesel fuel, is class leading, averaging 6.0 litres per 100 km. Open road running improves the engine’s economy, dropping fuel consumption to 5.3 litres per 100 km. The BMW 320d comes in six-speed automatic only, so if you prefer to be in total control of the transmission, you may wish to look elsewhere. For those of us who appreciate the hassle-free nature of automatics, both the BMW 320d Executive and base model gets a big tick. BMWs have always been well-made and reliable in a crash, and the 320d continues this proud tradition. The standard DataDot technology is complemented by ABS, dynamic brake control, cornering brake control, automatic stability control plus traction and dynamic stability control, which all combine to make the BMW 320d safe and stable. If you are unfortunate enough to collide with something (or if some idiot collides with you), the driver and front airbags will come into play (these airbags have an occupant detector function), as will the front side airbags, and the head airbag front and rear. All seats in the BMW 320d have been fitted with three-point seat belts, and the centre rear seat has a headrest, as do the other seats. Night driving is also made that little bit safer with an anti-dazzle mirror. On the inside, the BMW 320d is tastefully decorated with cloth/leather combination upholstery with titanium matt interior trim -and the executive version is upholstered in Dakota leather, which can be offset by a range of trims, including burr walnut, brushed aluminium and natural poplar. A retractable front armrest ensures that your answer to the old question “Are you sitting comfortably?” will be “yes”, especially in the executive version of the BMW 320d, which has partial electric seat adjustment for the front seats. The automatic climate control, which comes complete with microfilter, will keep you comfortable and breathing easily in all weathers. An in-dash CD/radio, a multifunction steering wheel, an onboard computer and preparation for a Bluetooth mobile complete the technological bells and whistles offered as standard on the entry-level BMW 320d. As if the standard features weren’t impressive enough, BMW offers a wide range of options for the 320d. Exterior options include metallic paint, fog lights (which already come as standard on the BMW 320d Executive), electric sunroof, bi-Xenon headlights and an alarm system. On the inside, optional extras on offer range from BMW sports seats to an 8.8″ colour monitor and professional navigation system which includes TV and voice recognition. The BMW 320d, in both Executive and entry-level versions, combines the economy of diesel with the classy looks and safety BMW is renowned for. For any more information on the BMW 320d, or for that matter any other new car, contact one of our friendly consultants on 1300 303 181. If you’d like some fleet discount pricing (yes even for private buyers! ), we can submit vehicle quote requests out to our national network of BMW dealers and come back with pricing within 24 hours. Private Fleet – car buying made easy!